The Balanced Scorecard provides a powerful framework for building and communicating strategy. The business model is visualised in a Strategy Map which helps managers to think about cause-and-effect relationships between the different strategic objectives. The process of creating a Strategy Map ensures that consensus is reached over a set of interrelated strategic objectives. It means that performance outcomes as well as key enablers or drivers of future performance are identified to create a complete picture of the strategy. Having a one-page picture of the strategy allows companies to easily communicate strategy internally and externally. We have known for a long time that a picture is worth a thousand words. This 'plan on a page' facilitates the understanding of the strategy and helps to engage staff and external stakeholders in the delivery and review of the strategy. The thing to remember is that it is difficult for people to help execute a strategy which they don’t fully understand. The Balanced Scorecard help organisations map their projects and initiatives to the different strategic objectives, which in turn ensures that the projects and initiatives are tightly focused on delivering the most strategic objectives. The Balanced Scorecard approach helps organisations design key performance indicators for their various strategic objectives. This ensures that companies are measuring what actually matters. Research shows that companies with a BSC approach tend to report higher quality management information and better decision-making. 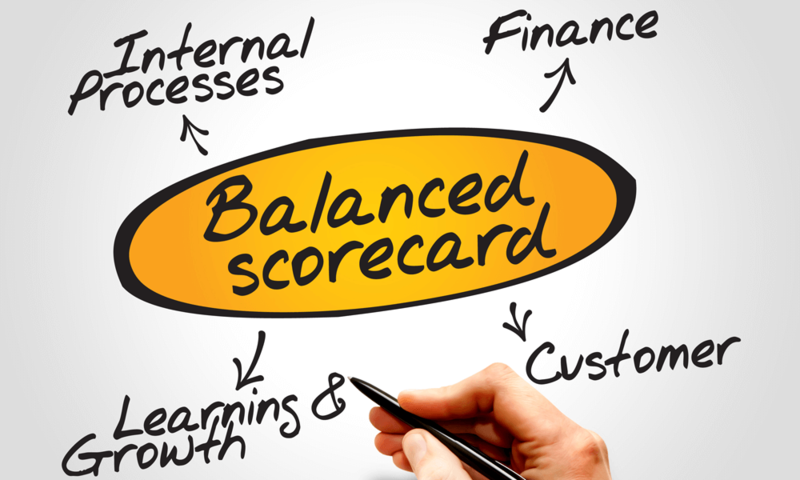 The Balanced Scorecard can be used to guide the design of performance reports and dashboards. This ensures that the management reporting focuses on the most important strategic issues and helps companies monitor the execution of their plan. The Balanced Scorecard enables companies to better align their organisational structure with the strategic objectives. In order to execute a plan well, organisations need to ensure that all business units and support functions are working towards the same goals. Cascading the Balanced Scorecard into those units will help to achieve that and link strategy to operations. Well implemented Balanced Scorecards also help to align organisational processes such as budgeting, risk management and analytics with the strategic priorities. This will help to create a truly strategy focused organisation. Or browse the Strategy & Business Performance and Key Performance Indicators & Metrics sections of this site to find more articles and many practical examples.